WHOSE RIGHT WAS TERMINATED,from her child won a lawsuit for civil right money damage(s)involving her prior DCFS family court case. 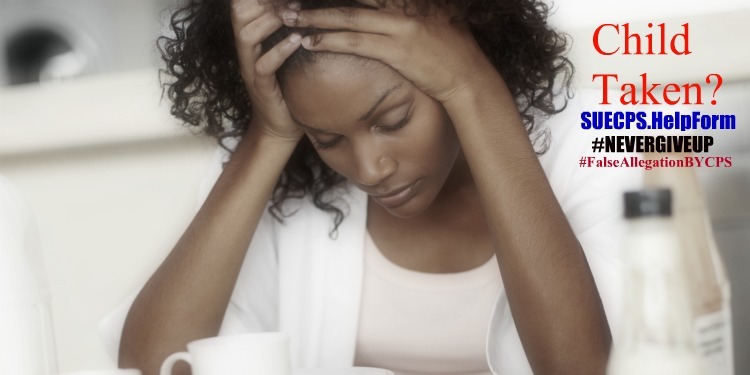 Parent sued for such wrongful act(s)involving her child." The lawsuit was factually filed in a TIMELY-MANNER. as reported in media recently. WE ARE VERY PROUD OF THIS PARENT,WHOSE RIGHTS WERE TERMINATED,AND SHE TURNED AROUND AND SUE THE WORKERS INVOLVED,the worker's "supervisor,as others,and she WON MONEY DAMAGES,FOR HER INJURY." THE PARENT DID NOT GIVE IN. THE PARENT DID NOT GIVE UP. SHE DID WHAT WE HAVE BEEN SAYING,ALL ALONG. SHE FILE A LAWSUIT,AGAINST THE AGENCY,and the CPS employees @ for various tort(s),injury,civil right violation et;al, and won. "She did not back away when the state workers terminate her right to her own child premise on false information,and or inaccuracies,and or failure to adhere to such federal/state law(s)policies et;al. all leading to her right being terminated,permanent,to her child. 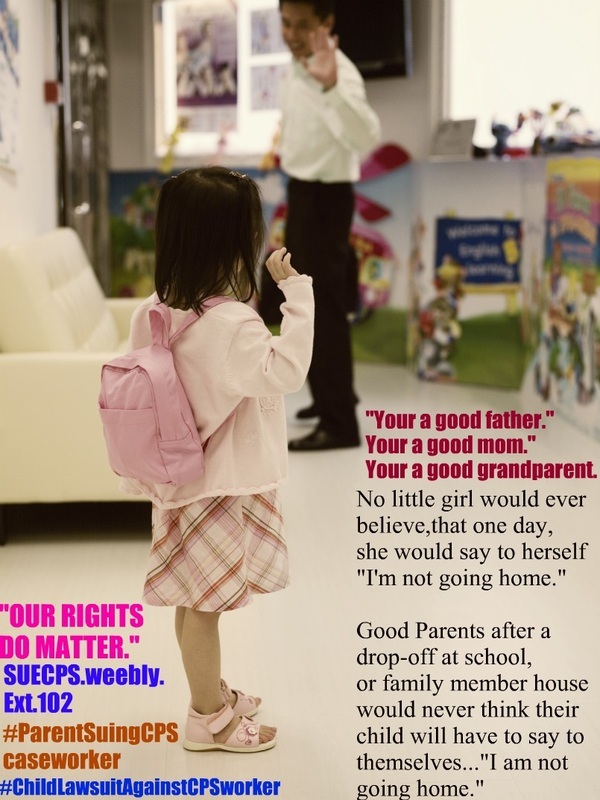 #SUECPSWORKER when you feel you're being violated,and or right to child is terminated premise on as in her suit as others,for the unlawful action(s)of such caseworker.The lawsuit again was filed timely,and the settlement was recently disclosed.When you're not trying to sue worker, the CPS violation shall sadly continue.We are proud of her,as our founder/owner who is doing the same,as the boss daughter,her entire family.When a worker,DCPP, DCF dyfs,violate one's fundamental constitutional right,the pain do NOT go away. (Even if they think so. )IT REMAINS for years on end. Parent lost custody of her child. has sued all workers involved after she learn the state workers terminated her rights." SHE WON HER RIGHT TO DAMAGES." 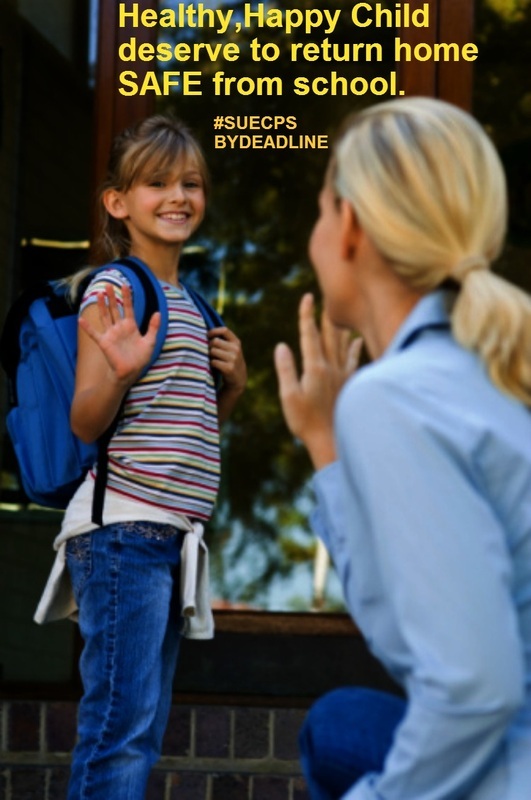 This astute parent FILED PRIOR TO SUCH DEADLINE. When you think there are not deadlines,you are wrong on such. Be sure however,when calling in ask for ext. 102 so you are connected IMMEDIATE. Fill out HELP FORM prior,by clicking on the link that cites,"help form"
or right from the home/front page,anytime. Failure to tend to such "needs of the child." when your right has been terminated. It all begin with you.The parent who we are verifying recent,who won the right to her money damage(s)for the TERMINATION of her rights to her own child,is a victory for those who assume wrongfully,they can't sue cps,workers,supervisors,when right is terminated,(due to unlawful act(s),wrongful acts,by a caseworker, DHS,DCF, DSS, supervisor et;al.,)let this be more proof as well as owner/founder of this incredible online network,at W.O.N. Whether in Missouri,to Alabama,NC,West Va.,CASEWORKER VIOLATION,in Arkansas,to Tennessee,Arizona,Colorado,to NJ, Michigan,WASHINGTON,NEVADA,DHS must adhere to such policy,set forth everyone.Whether in Fresno,California,to East Orange,Camden,Trenton,to Elizabeth,To Bridgeton,NJ,Philadelphia,PA,DHS,CPS worker cannot simply just"remove one's child,then ignore state,federal,higher court of appeals,directive,et;al.,while your child has languished,suffered." It is so wonderful to see those who are suing child protection services caseworker,supervisor,who has clearly violated the right of the child,grandchild,Good parent who was continually kept from the child,for some time,"even when state worker"knew the child had a constitutional right to be with the loving parent,and such lawsuits,against CPS worker,will continue research support when a child,the most vulnerable,innocent has been ripped from the loving arms,the only home they known when clearly no evidence,of serious injuries,had existed at such time of the child unwarranted,and or their continued removal. Who would think a child that your raising well,educated and loved,cared for beautiful healthy children under 18,are in school one day,your waving"GOOD-BYE"to your lil one, not realizing,within a blink of an eye,"This really is....Goodbye." Ext.102 The pain never leaves.For any of us. However, when your suing CPS worker for such violation,your able to at least,exhale with your family and realize,that your rights really do matter,and your not going to allow such caseworker to ruin your family,violate your civil rights,and walk away without seeking your rightful redress. Fundamental Right,of the parent,the children constitutional rights,universal,is not in any way unclear.Such children were "healthy one day,happy at home,being taken care of." When owner/founder sued,as media announce just this year she did not have at that time a lawyer to sue for her.She wisely filed and timely before DEADLINE,her own suit known as pro per, (self file) or pro-se.ext.102. Media validate her suit has won(in federal court)the right as her daughter(s)to move forward,for their injury/civil rights lawsuit. A caseworker for so many years,have gotten away with hurting the most beautiful part,of your days...your nights...and that is your child. 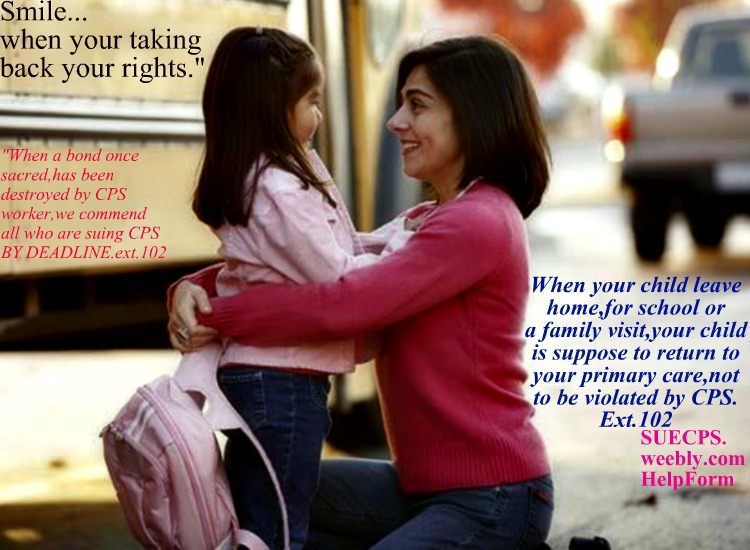 As case law support per state,county et;al, a parent has a fundamental right,to such child,and to know always how the child is doing,and or "not doing,while under state supervision,and"care" of CPS." Many have been sadly mislead,unconstitutional. Court order in place to see to it child visit with parent. Yet caseworker DES,DYFS,DCF,DHS,ACS,ignore such court order,even ignoring a Higher Court of Appeal favorable decision for the parent,grandparent,the family. Once again, such loving good parents,have been forced unconstitutionally,to live without their child for weeks, months,and in the more "extreme"cases,"
Grandchildren today nationwide,can be at home with grandparent,if a parent is"falsely accused"and going through the "system"to have a child they have not harmed,returned,and or for weekly visit,but yet CPS social worker, caseworkers for child protection services,whether in Florida,NJ,NYS,PA,to California, Arizona, Iowa, Pennsylvania,North Carolina nationwide, many DSS,DCF workers seemingly more times than not, request for the child to "live with a stranger,a foster parent"over the wishes of a loving aunt,uncle,older sibling,or loving grandparent. Grandparent recently filed a lawsuit against her local/state child protection services,and WON,after warning several times of the clear-danger (involving an unstable "father"to the child. Many more are suing by deadline cp workers)for civil right violations,et.al., when it come to one's right to child,and or one's negligent act(s)involving such rights,and we commend you all who are realizing your able to sue pro-se(self file)by deadline.,or with a lawyer. 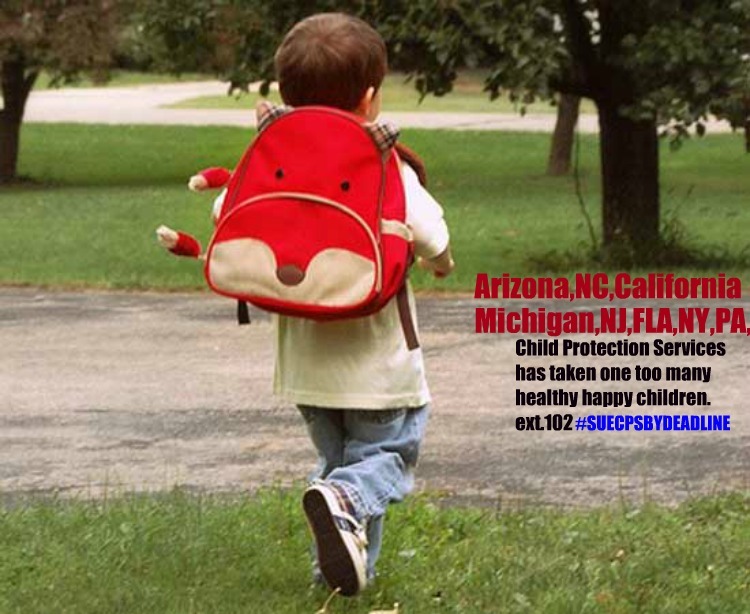 Arizona,Maryland,North Carolina,To NYS,NJ,NYC,to Connecticut,California Judge inform a parent,"she is able to see her child." Court order such visitation almost 1 year from the day when the child was removed.Yet child still has not been seen,heard from at all. Child Protection Services along with their THERAPIST who are clearly on the side of Child Protection Services,once too often premise on false report(s)and incorrect information given to therapist prior. No one on the parent's side has visited/have seen your child. Even when court ordered Hence, good luck if you are suing with lawyer by deadline for damages, and or pro-se self file." Judge mis-informed, by caseworker your a danger to child,but yet no evidence provided,to support such CPS report? The worst feeling for such family is,the"not knowing if your child is dead or alive,NOT knowing the child is really doing "well" and or where/when the child is at risk,since CPS wrongfully,unlawfully,and or continually has misrepresented the facts, of your case,to see to it the child remain away from you,for days...months... in extreme unconstitutional cases,for years.